Lost car keys in Allentown PA can be a hard moment that can impact your day, sometimes, half of the week. When you search for your car key without luck, you get frustrated. And as the time passes, it occupies your mind. But worry not, 24HR car keys replacement is available within 20 minutes. Many times, people misplace their car keys and forget where they put them. In fact, they even throw them in the trash by mistake. Other times, somebody stole your purse with your car key inside. If this happens to you, we have an easy solution for you, we have your automotive key, or key fob. Our wide inventory of automotive keys and fobs covers your car, too. There are many car and models since 1994 that take transponder keys which need to be programmed to the system. 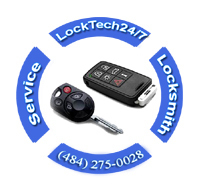 Not only that, there are also many automotive locksmith specialists, and also many car dealers. But, not all of them can do all car keys. The difference between us to a dealer is; you need to tow your car to a dealer, but we come to you. We cover most cars and auto keys in the U.S market today. Our automotive locksmith specialists drive a fully equipped working van with all the necessary key cutting machines and programming machines. We can do your car key on the spot and on-site, while you’re waiting. It’s also important to mention that we can do your auto key from scratch. While other locksmiths can do your copy or a clone key, we’re able to create your car key when you lost all your keys and have no spare. On the other hand, we don’t recommend you go to nonprofessional locksmith or a retail store to make a copy or a clone key. a nonprofessional person can simply ruin your anti-theft car system. When you lose your car key or just want to make a copy or a spare key, please call us for help. Our professional auto locksmith can help you instantly, cutting and programming you car key properly and in a fairly time frame. We have the fast solution for a lost car key in Allentown, Bethlehem, and Easton PA. We cover the entire Lehigh Valley PA and surrounding area. Don’t hesitate to call us now. In addition to our lost car key replacement service, we also provide a quick car unlock service and ignition lock repair and replace. As we’re available 24hr, please call us any time, day or night.